For the first time on DVD, one of the greatest TV Series adaptaion ever. RK Narayan's masterpiece directed by Shankar Nag. 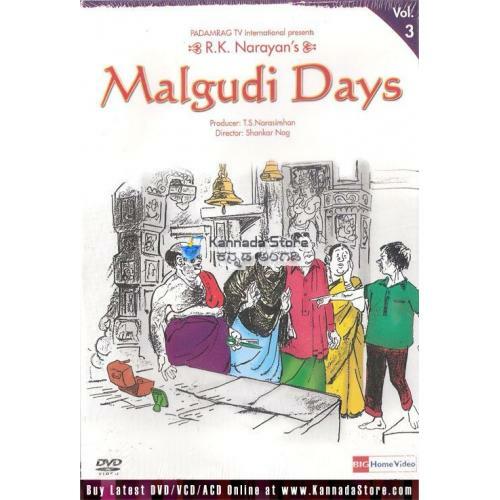 Malgudi, as described based on his colourful imagination by the author R. K. Narayan is typical of any small town or village and consists of simple folk dealing with their lives in a humorous and completely human manner. Malgudi a well known town has become the University of California that actually shows it as a small town in their map of India .Malgudi could be any town,anywhere, where you can see interesting characters like beggars, servants, masters etc. There are personalities at special moment in their lives or at the time of the crisis of spirit. Rich and the poor, they too love Malgudi and worship and believe with hope and dream and so it reflects all human nature that is bestowed on them.